We offer trekking, hiking, skiing and other adventurous activities in the Carpathian Mountains in Ukraine for individuals and groups. We think that after a taste of this country and after getting to know its people you would think that it’s a paradise for travel and adventure. Our office is located in Lviv (West Ukraine) – a UNESCO world heritage city and a perfect base from where you can get to the mountains. We can help with: accommodation, tickets, travel logistics, transfers, guides, interpreters, package tours. Plan adventurous summer 2019 now! We guarantee unforgettable experiences, whether you stay in a tent or in a modern cottage. Join a scheduled trip, or inquire about a trip tailored to your interests. 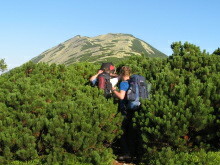 If you would like to see the Carpathian most untouched wilderness area, join our 9-day Expedition across wild Carpathians. We offer intense full day or multi-day adventures. 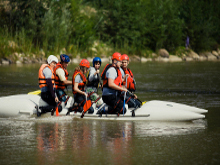 Professional guides will provide proper equipment and make sure your trip is safe and enjoyable. One of the most unique things about our summer rafting trips is our free riverside barbeque – cooked and served on the river’s edge, in scenic area. The best months to book a rafting trip are from June till August. 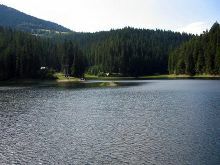 The most popular are: Tour to Synevyr lake, Transcarpathian tour, Tour to Kamyanet’s-Podil’s'ky and Hotyn fortresses, tasting tours (degustation of wine and cheese), flower tours (tulip, narcissus, saffron blowing), genealogical tours and many others. All yours start from Lviv and can be arranged as individually, so with a group.